The Most Important Part of Paying for College: Starting Today! Time flies, doesn’t it? For you or your child, college will be here before you know it! Where are you turning for answers? Answers about funding, schools, majors, careers, deadlines, applications … the list goes on and on! Wouldn’t it be great if everything you needed was organized in one easy-to-follow plan? Fantastic news! There is a program available … a program with no hassles, just help! Come find all the college preparation and funding answers you are looking for – what to do, when to do it, and how to get the most from your efforts! It is a startling fact that over 50% of all students who start college never finish – most due to the lack of money! In order to help your family prevent this, you need to learn the common mistakes and pitfalls to avoid, deadlines you must observe, and ways to boost the odds in your child’s favor. You need to learn how to get the best education at the best price! If college is a top priority in your household, this knowledge is a must! The easiest and best way to learn all this? Come to a FREE Seminar in Rogers! 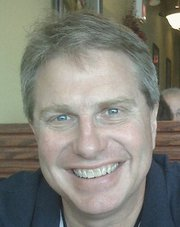 Local financial expert and certified college planning counselor John D Dunn will personally answer all your questions, and show you how to turn the process in your favor. Stop searching! Come find all the college preparation and funding answers you are looking for in less than an hour – what to do, when to do it, and how to get the most from your efforts! No more need to spend countless hours on the Internet, or struggling with other resources, to try and make sense of the whole process. Attend our FREE Seminar and get the answers to all your questions in a simple, easy to follow format, including why effective, early planning is crucial. A startling fact is that over 50% of all students who start college never finish – most due to the lack of money! In order to help you and your family prevent this, our seminar explains the common mistakes and pitfalls to avoid, deadlines you must observe, and ways to boost the odds in your favor. We will show you how to get the best education at the best price. You will increase your chances of getting money for college by starting the process as a high school freshman or sophomore. Get started by calling today, 479-899-6212 and make your family’s reservation for an upcoming seminar. There is absolutely no cost for the seminar, which will be held at the offices of Southern Financial Group, Inc. at 211 West Elm Street in downtown Rogers. Space is limited, so reserve your spot now! Our record of excellent customer service and innovative business practices are just a couple of the reasons why College Funding Solutions, Inc. has been nominated for the Better Business Bureau’s “Business of the Year” Award. If college is a top priority for you, this seminar is a must! You will not only learn the vital steps in the process, you will also learn the “behind the scenes” methods colleges use to select students and award funding (including vital details that are not readily available to families). Call today and partner with the company that has helped thousands of families manage the overwhelming task of preparing and paying for college. Both parents (unless a single parent) and student should attend this important seminar. Provide your business with guaranteed loan options to expand your business. Unstructured loan repayments (yes, you determine when payments are made). Increasing access to guaranteed loans if needed. Provide tax free retirement income. Will be creditor proof and in most cases, judgement proof. No potential for loss of funds or the gains. These are the exact same strategies that many large and well-known corporations have successfully used for decades. By being more efficient your business can leverage assets that are currently sitting idle. Using these assets, you can release the earnings power without compromising your cash flow. This can be done without tying up your funds or closing off options. You control the assets and cash flow to your advantage, not the financial institution as in a conventional approach. Contact us today for an appointment with a SFG advisor. The fact is, Americans devote the largest portion of their incomes to housing. Consequently, how you handle the financing of your home will have far-reaching implications on virtually every area of your financial life, including your ability to save, pay for college, and plan for your retirement. The mortgage planning process isn’t about wasting your valuable time trying to save $20 per month. Mortgage planning is about integrating your mortgage into your overall long- and short-term financial goals. Your mortgage is one of the most powerful financial tools that you have at your disposal. The way you manage your equity, the way you manage your mortgage, is crucial. Unfortunately, the vast majority of those financing their homes miss the big picture. Most people focus on a small part of the mortgage equation: the interest rate. The interest rate is only one part of the mortgage equation. The fact is that the interest rate you are paying isn’t the real problem, the real problem is the volume of interest that you are paying. Southern Financial Group educates home owners on what we call wealth transfers. This is money that you are losing unknowingly and unnecessarily. The largest transfer of wealth (other than taxes) that anyone will ever encounter is the mortgage associated with the purchase of their home. Mortgages have enabled millions of home owners to achieve the “American Dream.” The mortgage is also the most misunderstood financial instrument. 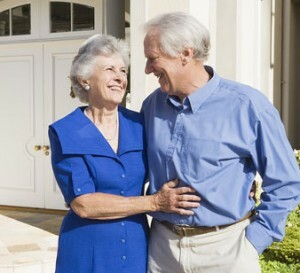 At Southern Financial Group, we educate home owners on prudent home equity management concepts. How you manage your mortgage matters. There are many equity management concepts and strategies that are outside the box of most people’s knowledge. When something comes along that’s outside your box of knowledge, you can choose to ignore it, or get a bigger box! Southern Financial Group educates and helps home owners to implement various mortgage planning strategies. We can’t say it enough: How you manage your mortgage matters. Has it hit you yet? Do you see why focusing on saving $15 a month is missing the big picture? Remember, a great rate on the wrong mortgage strategy can literally be a $400,000 mistake! If you really grasp this, it will change your line of thinking next time you take out a mortgage. Too many people focus solely on managing their assets. Few understand the power of managing their largest debt, their mortgage. Managing your assets without managing your liabilities is like heating and cooling your home with the windows wide open! Before you refinance or purchase your next home, be sure to consult with an experienced mortgage planner. Find out how to stop transferring your money away to the financial institutions. We specialize in identifying unnecessary wealth transfers most people experience due to poor mortgage planning. What you thought to be true about mortgages, may not be…. Contact us today to schedule your consultation with a Southern Financial Group advisor. Colleges are in the business of providing higher education to our nation. The key word here is business. Institutions have a very definite business approach when it comes to offering admission and funding to a prospective student. For example, a college or university will typically offer admission to three (3) times as many students as they need. Why? They know that only one-third of those offered admission will attend and the remaining two-thirds won’t. Colleges want their seats full, and will typically over-book the flight to make sure they are. It’s not good or bad – it’s simply business. The good news is that you can turn the process in your favor by making yourself as attractive as possible to the schools and keeping your options open. Although private-sector scholarships make up only 3% of the funding awarded annually, students still spend countless hours searching and applying for these awards. Why? Because they help offset the ever-rising cost of a higher education – or do they? It takes hard work and dedication to receive private-sector scholarship money. You must locate the sources, gather the recommendation letters, write the essays, and meet the application deadlines. Next, you wait for the results. Finally, if things are in your favor, you win an award, or maybe even two or three. All of your hard work has finally paid off – or has it? Did you know that most colleges deduct your private-sector awards from the institutional gift money you have already been offered? Simply put, your private-sector scholarship money most often goes back into the school’s coffer, and is eventually given to another student. Who really benefited from all your hard work? Exactly, the college! Your funding package still contains the same proportion of gift aid (free money) and self-help aid (money that is worked for or borrowed). The college’s “contribution” is simply less. Can this be avoided? How can you make your efforts pay dividends for you? To ensure their seats remain filled with the best blend of good students and paying customers, colleges commonly offer admission to three, four, or even five times as many students as they need each year. For example, if a college needs 800 new freshmen, they will generally offer admission to 2,400, knowing ahead of time that only one out of three will actually attend. The top third are the most attractive and are offered funding accordingly. What third will you be in? Do you know what you can do about it? Did you know that of the 3 million new students who begin college each year, less than 50% attain a 4 year degree? That is right. Only about 48% will ever receive their degree. Why are so many students forced to drop out? The number one reason is money! Most families spend more time planning the summer vacation than their child’s college education. They didn’t plan to fail. They simply failed to plan. Today, 94% of all families today have no plan in place to fund their children’s college education. Without our help, some people become so overwhelmed by the confusing process of applying for colleges and securing financial aid that they may decide to empty their company-provided retirement programs (if they even have one). Many make unnecessary but serious errors along the way that can cause them to take on huge loans to pay for their child’s college education. Even worse, some parents give up and simply tell even their most promising students that they just can’t afford to send them to college at all — these actions are just not necessary! Why Comprehensive College Planning Services? Of the 3 million new students who begin college each year, less than half attain a 4 year degree! (Only about 48% actually do.) Why are so many students forced to drop out? The number one reason – money! They didn’t plan to fail; they simply failed to plan. A recent study indicated that 94% of parents who have high school aged children have not saved enough money to pay for their college education. That’s not surprising, as a college education can cost anywhere from $50,000 to $180,000. College is a business – big business. You wouldn’t pay sticker price when purchasing a new car and you shouldn’t pay sticker price for your child’s education. In many cases, colleges are more than eager to help contribute to the educational costs of students from affluent families. We’ll tell you why. College – a distant dream for some young high school students, a source of worry for many others! Although college is affordable and attainable for nearly everyone, there’s one major catch: you must start early. If your student is a freshman, sophomore, or junior, actions taken now will put them in the best position to receive college admission with generous scholarships and grants. If your student is a senior, there is not a moment to lose if you want to secure adequate funding at a college of their choice. Learn how! Do you have a child or grandchild who is in high school and wants to go to college? Are you worried about ever-rising college expenses? Are you looking for answers regarding funding, scholarships, deadlines, and applications? What about high school preparation, SAT testing, career planning, majors, college selection and admission? The list just seems to go on and on! 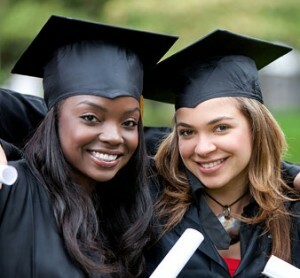 At SFG we are qualified to present the “College Graduate” program and facilitate the financial strategies unique to college funding and planning. So, if you are wondering who gets the most money for college and why, as well as what you need to do now if you have a high school student to help them get the best college education at the best cost, contact SFG. Why are some colleges and guidance counselors so concerned over a family hiring a professional educational consultant? To find the answer, you must first understand that college is not only essential and expensive, but it is also a business. Most everyone is familiar with the necessity of a college education and the expense involved, but far too many fail to understand the business aspect. Although funding for college was originally intended for those who need it most, it actually goes to those who know the most about the process. The more you know, the more you get! Likewise, the less you know, the less you are likely to receive. Since the colleges themselves are the single, largest source of funding, especially the “free” money; it would stand to reason that dealing with uninformed consumers is ideal. This explains statements like: “you can do it yourself, for free” and “you don’t need to hire anyone to help you. ” Many are mislead into thinking that if the forms are free, the process must be easy. Actually, it is exactly opposite. There are so many variables involved and details to consider, most families simply don’t have the time to do the necessary research, devise a plan, and stay on track throughout the entire process. The free forms are not the focus, knowing how to complete them to your best advantage is. For instance, the Free Application for Federal Student Aid (FAFSA) is the government’s required funding application that helps determine a student’s financial need (keep in mind that the FAFSA is a very small part of the overall process). The FAFSA asks for assets and earnings, very similar to income tax returns. Many questions on the FAFSA are confusing, with “no” room for error. There are dozens of strategies that must be followed in order to complete the FAFSA most effectively. The answers given on the FAFSA are just like those given on tax forms – they determine how much you pay! Like the FAFSA, income tax forms are also “free. ” However, nobody seems to be overly concerned about people hiring a professional to assist with tax returns. If tax forms, codes and laws are all available for free, why do people hire accountants? Simply put, they don’t want to pay more than their fair share of tax. Call Southern Financial Group today to allow us to walk you through the complicated process of college planning. We have a method of recycling the dollars you currently spend on your monthly expenses. By using our method, you can use those same dollars again to create a separate savings and retirement fund. Through our special arrangement with a major financial services company, we have perfected this accumulation program that enjoys the following benefits: no maximum contribution limits, no market risk, protection from creditors, and tax free income at withdrawal. This is not a gimmick, but a concept that has been used by the wealthy and prosperous for over a century, yet has mostly been kept a secret from the majority of us. Decide to invest just thirty minutes of your time with us, and we will show you how to build substantial benefits stemming from your current outlay of money you are already spending. Your visit will entitle you to a financial analysis, a $125 value. I look forward to hearing from you and getting you started on securing your bright financial future. Don’t let another day go by without learning how you could make your existing dollars do double duty for you and ensuring your retirement. Call or email today. A long time ago, before I entered the insurance industry, the gentleman selling me my first policy stated it this way. “Somewhere in this town tonight, a father won’t come home and his family will face a second tragedy when the mortgage payment can’t be met in a couple of months.” Hyperbolic and extreme as it sounds, there is a valid point. Life insurance provides an excellent return to the beneficiaries. Perhaps your situation isn’t as dire as the family in the example, however, the loss of current and future revenues from a spouse or parent can severely limit or restrict the survivor’s options. Life insurance in it’s purest form will provide a return, in the form of a death benefit, to the beneficiary the owner of the policy designates. This return will be greater than the sum of premiums or payments made to the life insurance carrier. There are many theories about the best type of life insurance and an appropriate amount. Regardless of your opinion on types and amounts, there are two points that are indisputable: something is better than nothing, and sooner is better than later. Even if all you can afford is enough to defray funeral costs, you will save your family an immediate and often crippling expense. Age equals greater cost, even more so if age brings medical conditions that result in getting rated up. Regrettably, many clients wait, assuming that once they have extra money they will “deal with the insurance thing.” The flaw in this logic is that once you’re dead, you can’t get insurance, or once you have a documented health condition you may not be eligible for insurance at all. The need is evident. It’s really hard to deny that a company willing to provide you an exponential return on your money, guaranteed by contractual law, when you die, is a bad idea. Unlike securities which are subject to the whims of the market, and taxable when sold, life insurance is not. When you obtain a policy, you should be provided with a year-by-year breakdown of exactly how much will be paid to your beneficiaries at your death. That’s security. So how much do you need? A good way to get a starting number is to multiply your annual budget by ten. Even if you are a non-working spouse, you bring value to the household, especially if there are children. Add to this total money for college for each child. Include items such as payout amounts for credit cards or other loans and the cost of the funeral. This is a good start. You may want to consider a legacy, or additional funds that will go above and beyond just covering expenses. This is a very general overview supporting the need for life insurance. 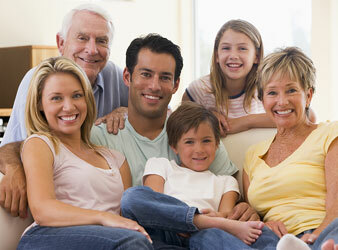 There are various forms of life insurance available. In later posts, we will learn about these forms as well as provide definitions of the various terms associated with life insurance.